It’s hard to beat the precision of a Scratch Awl for marking lines on wood. The point fits right against your layout tool and the resulting line is sharper than a pencil line. It’s also great for centering holes for hinges and other precision drilling. 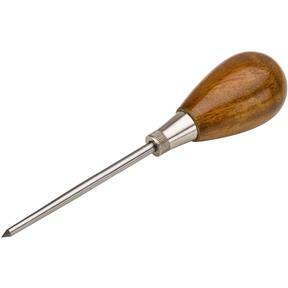 A comfortable hardwood handle makes this Scratch Awl easy to use in any position.